12 Reasons Why We Love Our Real Guests, but Really Hate Elite Yelpers (and of course Yelp itself)! As a Pocono Cabin & Vacation Rental company we wanted to spend some time on explaining why we love our Real Guests (all 6 pages of them), but really, really hate Elite Yelpers (and of course Yelp)! For the past few years while we were running our vacation rentals, we’ve had some amazing feedback from real guests who stayed in our vacation rentals. We used that constructive feedback to improve our homes and cabins and now we are proud to say that our reviews have improved dramatically. Our effort was simply to improve the properties, the experience of renting with us and create long lasting connections and repeat guests. We are proud to say that lately most of our reviews (not all, we are not perfect) reflect our effort has worked out. Our improvements have been shown everywhere, on every portal we advertise, everywhere a verified review is posted. Everywhere, except Yelp! Why you ask? That’s a great question. Below you will find the answer and not only that, you will see a distinct picture come into view, a picture of extortion, false representations, unverified lies and all kinds of bad stuff that we want to expose and bring to light. So here goes, this is our beginning to trolling Yelp and their Elite. Enjoy! 1. What is yelp? why should you care? and what’s so funny about it??? According to Yelp, Yelp is a site created “to help people find great local businesses like dentists, hair stylists and mechanics.” Yelp’s claim to fame is that all reviews; no matter if they are true, untrue, written by a ogre or a seahorse can and will be posted. That is, if it does not violate their magical unicorn filter and then those reviews may be removed. The basis on how this super-duper filter works is of course proprietary and hidden from the public eye so that basically means they have a free reign to manipulate their reviews, reviews which are posted by their community, reviewed that are unverified and in most cases simply just a Yelp. What is a Yelp? A short sharp cry, especially of pain or alarm. So what is the big deal you ask? Well, in case you have been living under a rock the past 15 years since Yelp was founded it has put countless businesses out of business simply because of the negative Yelp reviews they got. In reality, there is nothing funny about Yelp. Yelp is simply a Bully with a cattle prod. In the rest of this page, we will attempt to politely stick Yelps cattle prod and illusion of strength up their ***. Let’s do some math. We’ve been around since 2015. We had somewhere between 7-18 properties at one point or another. If we use the low side, and say that each property was rented 20 times a year. 7 x 20 = 140. So we should have had about 140 reviews on Yelp if we’re active on it. (We weren’t, because we don’t care about Yelp - just like it doesn’t care about us - it’s just a website, it has no feelings, that would be silly - moving on). These are people who stayed, some who didn’t, some who didn’t get their security deposits back, some for other reasons. There is about 27 of these Elite Fascists (28 if you don’t count duplicates, some are and Yelp refuses to address that too) on the first and second page creating a total review rank of 1.8 for us. Some of them were even part of the same group. On pages 3-8 there are a total of 78 reviews, 95% of which are higher ranked, we estimate these reviews would put at about 4.5, but Yelp hides these reviews and put them as “not recommend” because their magical fair/unfair unicorn filter deemed them so. As a real business it’s always in our interest to ask our guests to post a good review after they leave, many do, and those that do are hidden away, so we tend to look worse than we really are. Why you ask? Let’s examine further. At this stage, we’ve established that Yelp hides reviews it doesn’t want you to see, and posts the ones that it does. Why? The answer is simple, Money. Yelp makes money from Ads. If a business looks good, it won’t need to advertise, if it looks bad, it does need to advertise. Side Bar: Google makes money from Ads too, so does Facebook, but because these two enormous behemoths have huge market share, Yelp is forced to play games with their Algorithm to get people to advertise. Google/Facebook, care’s about unfair reviews and might remove them with enough force, but Yelp never will. How can they? It’s the lifeblood of forcing people to buy ads. Something people on Google/Facebook do willingly with no coercion, but with Yelp….we will get to that. Yelp will use every opportunity to try and fight Google, but that’s like a Pomeranian fighting a Rottweiler. This of course is not a universal rule. Many large businesses advertise because they have large budgets to work with, but Yelp doesn’t care about large of medium sized businesses. It’s market if for the “small businesses,” it says so right on their own advertisements. Yelp knows that the learning curve for any businesses is steep and by giving their Fascist Elite’s a voice and forum to criticize small businesses it knows that they will need to buy ads from Yelp. Viola! That’s the whole strategy. That’s the ball game and it’s a wrap! So now we know why your review (assuming you don’t use Yelp often) and mine since we wouldn’t’ throw the leadership of Yelp a life saver if they were drowning - our reviews will not post, they will be hidden. But now, you might want to know is this whole mafia tactic legal? And if so, how does it work? We’re glad you asked, let us explain further. 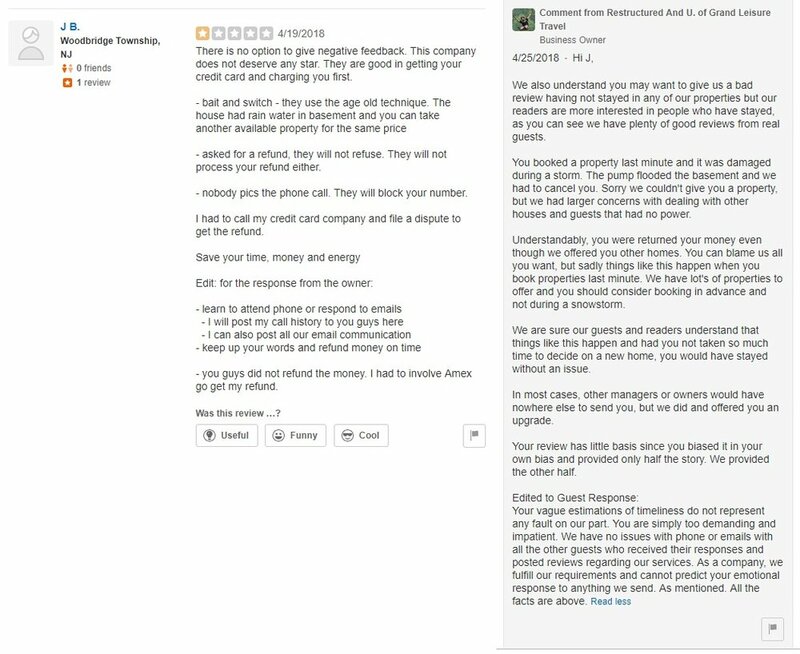 Oh we almost forgot, throughout the page, we will be posting some of the greatest Yelp Haters we have, Enjoy! It’s funny how they are being very generous with their sales people, giving them free reign to say what they need to make a sale. It’s important to know that our business is a small niche and advertising on Yelp won’t do anything for us, (and they know it). But, they push and push, regardless because they see a low ranking because of the emotionally unbalanced filter. This sales person is simply trying to get us to buy, but what he doesn’t know is that we don’t care about Yelp or their reviews. We simply wan’t to portray an accurate picture, that is something Yelp does not care about, unless you advertise with them and sometimes, even after you do, it doesn’t help you, only hurts you more. We think it’s time to post another great negative review, don’t you? 5. Yelp told us “not to ask for reviews” - Ha!Ha!Ha! We do! Guest what?!?! Real Guests, are NOT Elite Yelpers, because they have lives, kids, families dogs, cars and responsibilities. Elite Yelper’s have none of these things and can afford to be Elitist Fascists because they have nothing to do besides sitting in their mom’s basement writing negative reviews for a magical badge. Before Yelp, these people would lead sad lives and then die quietly, but Yelp has given them a voice, so now everyone thinks they have something to say. Now, we don’t have problems with rivers, vans, nor do we have any issues with people who want to write and provide accurate feedback. But, when their own biases start flaring because their heads are filled with helium, it’s hard to misinterpret their regurgitation on our Yelp page as anything more than just funny or amusing. So in the future, we will be posting more and more on this page, and hope that you wont’ find yourself “living in a van, down by the river.” RIP Chris, we love you. 6. why do many businesses hate yelp? They make it sound complicated, but it’s really not! We’ve discussed the filter in length and removing a review is impossible without a court order, here is the response you get when you try. "After careful evaluation, we have decided not to remove this content. When reviewing user content, we look at a number of factors, including potential conflicts of interest, threatening or lewd commentary, and whether the content has been posted to the correct business page. If a review falls within the bounds of our tolerance for strong language, appears to meet our guidelines and reflects the user's personal experience and opinions, it is our policy to let the user stand behind their review." Sales tactics are of course normal, we understand that a sales person should be persistent, but when someone calls you and threatens you, that’s a bit much. We understand the need for desperation, after all, some small animal is in need of getting kicked and you are also late to your meeting with Lucifer, we get it, please keep calling, we’ll keep blocking your numbers. Finally, the craziest reason why you should hate Yelp is because we ask our REAL guests to review us and they don’t end up on our page, they end up hidden. Take a look at this recent Forbes article and what Yelp claims we CANNOT do! Hey Yelp, before you stop reading, we want you to know, that we don’t care about your policy, you can close our listing, or start removing all our reviews. We will keep asking REAL guests, to post REAL reviews and here’s the kicker. What you do with those reviews, are not important to us. We only care about our guests, not your Fascist Clan of Yelp Elitists. Here’s a great one, we love this one! 7. who is botto bistro? And why are they so freaking awesome! Botto Bistro’s GM Davide Cerretini & Chef Michele Massimo is a small italian pizzaria in California that has literally turned the tables on Yelp and for the past few years has begun trolling the site and daring it’s users, Elite and Non-Elite to post negative reviews on their page so they would be the worst restuarant in the world. As a result of their 25% off any “overpriced pie”, they received thousands of good, bad and ugly reviews, which they gladly showcase on their site. We are sooo jealous of this, so we’ve cooked up something similar below. Botto has started their campaign and now include the following pages where they have a “Hate us on Yelp” section, an FAQ section, a Village Idiot section, a Facebook section, along with this Facebook page, and last but not lease, this “Hall of Shame” section. This entire model has naturally caused a response from Yelp where they constantly complain to them about having to remove the reviews that are posted which violate their policy. Currently over 3,000 Botto Bistro reviews have been removed for this violation, and Botto show’s no sign of letting up. We wholeheartedly agree and believe that if Botto can do it, we can do it too - but with a twist. Grand Leisure Travel is announcing our Yelp Elite Special Offer. We are offering 25% off for any booking if your 5 star review on Yelp is made to stick for more than 14 days. We believe it is worth it to troll the big bad Yelp and see if we can moderately become a pain in their ***! With respect to Botto Bistro, we pay this homage to Davide & Michelle and hope that one day we can visit their lovely pizzeria and eat their amazing food and share some Yelp stories together! Bravo! Another review you ask? Granted! We guess the food critic is stingy with his stars, and being from an Englishtown, we would hope he would be able to write more proper English. but that’s OK, you deserve 5 stars on our page. Thanks for sharing your life with us! Good Luck with rest of it, it will not be easy grasshopper. 8. why do many businesses hate yelp? Mystique, Secret Algorithms, Hidden Fairy-tale Filter? What’s to love? Whenever there is a profit motive behind anything, someone will exploit it internally. In this case, Yelp as a company has built a secret weapon against small businesses and uses it to exploit them for advertising dollars. But, what happens when they do? Let’s say that we would want to advertise and give in to the scam they offer? What would happen? According to a recent article, Yelp Advertising is simply not worth it for the following 3 reasons. Do you really want the Elite Yelpers as leads/customers? Not worth it, leads are erratic and unfocused. The 4th and probably our most favorite reason is how Yelp compares it’s advertising to an investment and says, “You have to give it time.” Nothing could be further from the truth. Real investments, when done properly yield a result/return/reward, right away! Another myth debunked, Yelp ads, are not for everyone, probably not for anyone since no-one except Yelp has any control over them. True investments, always allow you to retain control, this isn’t one, it’s a sales pitch. We found a guide for people to deal with Yelp Advertising pitches. 9. why anthony bourdain hated elite yelpers? The Parts Unknown host sat down with Danny Bowien, the chef behind Mission Chinese, for an interview with Business Insider, and things quickly got heated. Bourdain unleashed a slew of vitriol—perhaps deserved, depending on your perspective—against Yelp. “There’s really no worse or lower human being than an elite Yelper,” he proclaims, rather boldly. Exaggeration? Sure, but he goes on to target Yelp for grievances that actually make a little more sense. “You know, you open a restaurant, you struggle for a year to put together the money, you work your heart out, and then 10 minutes after opening, some miserable b*tch is tweeting or Yelping, 'Worst. Dinner. Ever. '…It’s like, dude. That ain’t right,” Bourdain continues. So he doesn’t like Yelp, we get it. But maybe there’s a lesson here? Before you post a scathing review of a restaurant where you had a bad experience, maybe remember that there are hard-working people, with dreams of their own, behind it. 10. extortion VS sales people! Above, we’ve provided various reasons to hate Yelp, but it’s not enough to understand the why you truly hate it. So let’s compare Yelp to the Mafia and see where that takes us? Shall we? Let’s Examine Only 4 Categories. 11. how to make your review “stick”? Wait, who cares if it sticks?!?! How they correlate to an online review mafia and do it legally because they have policies protecting them. In this section we would like to discuss how having freedom of speech can sometimes lead to being sued for $1 Million. Sometimes, freedom of speech is not free from consequences. Sometimes, businesses fight back when their reputation is being threatened. Make no mistake about it. People get sued for negative reviews, slander and incorrect facts all the time. You might not lose, you might be in the right, your opinion is of course your own, but just because you have the right to write a review, doesn’t give you the right to defame someone. You might waste $20,000 defending yourself or you might not. Here is a review of someone Grand Leisure Travel sued and won against. it was only for a couple of hundred bucks, but it’s the principal that matters here. Best part is when the judge ordered her to pay us our money, she started crying and had to be forced to pay it to us, some people don’t even realize we have a justice system. We hope this show’s that we do. 12. So, what’s next? how do we share feedback without being sued? How can honest feedback be posted and shared? How can a business know where to improve and what to ignore. These questions are largely left unanswered according to Yelp, because they cannot make money from the truth. They make money from oppression and a false sense of right and wrong. That’s fine, we don’t mind. But here is something we suggest to our guests, readers, followers and fans. Be kind. It’s a simple concept. Just be kind. If you have something negative to say, say it to us, to our face. If you don’t agree with our decisions or actions, let us know. Don’t post it on Yelp for all to read? How would you like it if we shared your shortcomings, failures, and process flaws before we got a chance to improve them? You wouldn’t. So it’s simple. Be kind - just like your mother taught you! Over the course of years that we’ve been around, we have attempted to improve and drastically reduce negative complaints. We hosted thousands of guests every year, and yet only 28 end up Yelping against us. What percentage is that? Who cares? On average, every guest get’s between 50 touch points from us. Between all the calls, texts, emails, personal visits, etc. We try and stay in touch with all of them, we don’t do this for Yelp, we do it for them and for ourselves. So in a way, Yelp helped us improve - a bit. We leave you with our final review from Abe, Enjoy it! More will be posted. More will come. More always do! Enjoy!